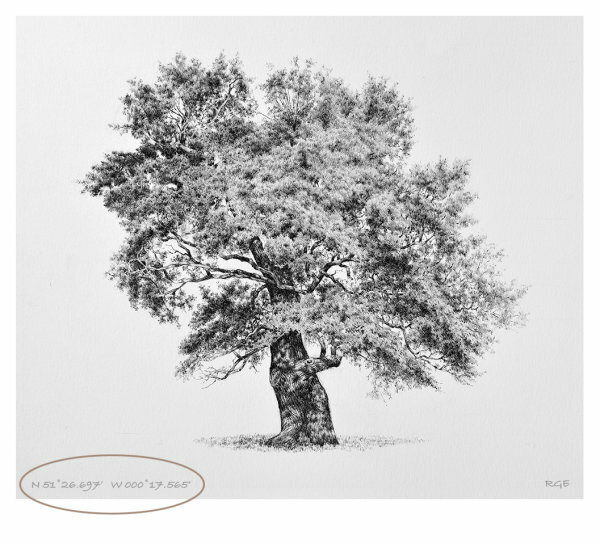 Richard's tree drawings all include their own GPS coordinates – written in pencil at the foot of each artwork. This information enables us to locate the tree's exact position. By being able to visit the actual tree our relationship with the artwork changes. And if you own one of Richard's original artworks, you may find that you'll develop a special affinity with that actual tree. Richard is currently drawing trees primarily in London and the South East. The Global Positioning System (GPS) is a satellite global navigation system that provides geolocation information to a GPS receiver. The information is represented by a set of GPS coordinates. These coordinates can be used to pinpoint the location of anything, anywhere on earth. The GPS system is freely accessible to anyone with a GPS receiver. The accuracy of any GPS depends on the capability of the device used and access to an unobstructed view of the sky (four or more GPS satellites). 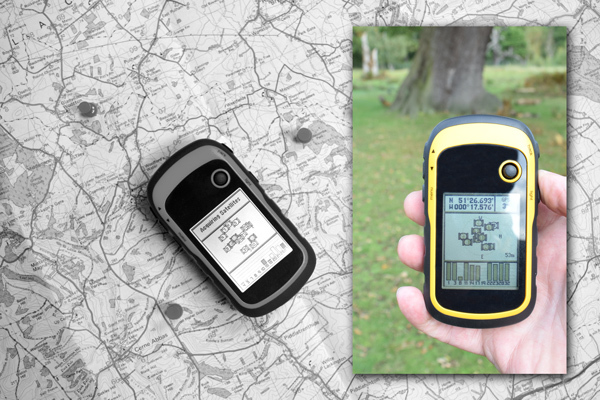 Most specialised GPS devices can locate an object within a 3 metre radius. Suitably equipped smartphones can also be used as GPS locators but may not be quite as accurate. GPS coordinates take many different forms. Richard uses a universally recognised format (WGS 84) – Longitude and Latitude coordinates (degrees, minutes, seconds). For the greatest accuracy, simply input the tree's coordinates into your GPS device or GPS smartphone app and follow the directions – just like a car's sat nav system. Printed maps have latitude and longitude coordinates written in the margins along the map's outer edges. This information (degrees and minutes) will only give you a rough idea about the tree's location. 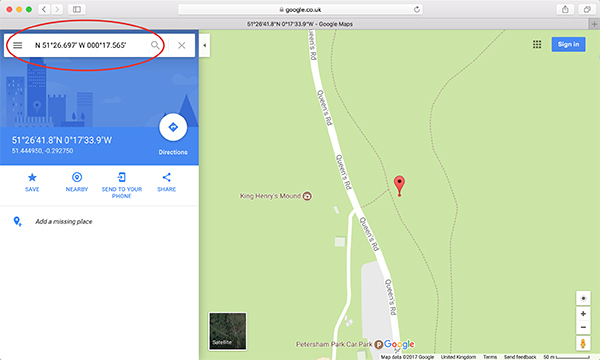 For maximum convenience you can enter a tree's GPS coordinates into the Google Maps search box online. Please ensure that you enter the coordinates correctly, including the degrees symbol and all punctuation. Take a look at the example below.